Last Thursday evening, amid a crazy schedule of drop-offs, school closings, cooking, cleaning, writing, Girl Scouts, haircuts, basketball, and laundry, I took a moment just for me, to make a delectable protein shake that would fill the void in lieu of a sit-down dinner. It was to be a delicious mix with chocolate PB2, a powdered peanut butter booster, sprinkled in for some much-needed energy and flavor. This smoothie would have put your Vitamix and Nutribullet to shame! In my celebration of heaven in a smoothie, I happily gave my oldest two children some, while they scoured the pantry and fridge trying to fend for themselves for dinner. It was just that kind of day. Everything was hurried and we were all rushing to get to dance practice. In my haste, I had forgotten just that quickly that my children are allergic to peanuts. Way to go, Momma! The children began to panic. Peanut Butter is the one thing they are rightfully afraid of. Almost immediately, their tongues and throats reacted. You recall story after story of children accidentally ingesting peanut butter, or some variant of peanuts, and ultimately succumbing to the myriad effects of exposure including anaphylaxis, asthma attacks, cardiac arrest, and in some cases, even death. Give them some Zyrtec too, he rightfully demands, as we both try to get the situation under control and stem any further damage. At first, I try convincing myself that I’ve got this under control, but of course, I don’t. I realize I really do need him on my team. I figured the worst was over, so off we went to dance rehearsal. While en route, my nine-year old daughter vomits cookies, cake, smoothie, and just about everything else she had eaten that day, both in the car and then again outside dance practice. We head home. I begin giving my car a mini detail in the garage during a bit of downtime. Although sick due to my major faux pas, my daughter tries to make me feel better by saying so innocently, “These mistakes happen, Momma.” Bless her heart! Though she was still rather shaken up about what had happened, she had already gotten herself clean, showered, and put her dirty clothes in the washing machine. Thank You! I really appreciated (and still do) when you helped me when I felt sick. I didn’t think you were going to be so much help. I thank you for being a part of my life. I owe you a ton. I cannot write this letter without crying. I love you so much. 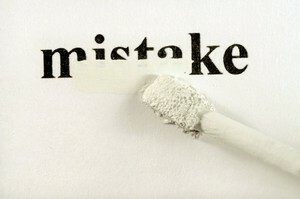 Everybody makes mistakes. You are the best mother in the whole entire world. If you need any help, let me know!! My eyes brim with water. My burden of guilt feels lighter. All is forgiven…. That is, until the on-call allergist calls to tell me to take them to the ER and meanwhile, give them their Epi-pens. Damn, Damn, Damn! My husband and I had to divide and conquer. I had two sick kids with allergic reactions and he had one panic-stricken child worried that she was going to lose her brother and sister. Ironically, she was spared the drama by refusing to drink Momma’s home-brewed concoction. Since I believed I was the reason for this unfortunate turn of events, I opted for ER duty, while my husband stayed on alert at home. “i love u. am in love with u.
on nights like these there is no one to blame. not me not u or the kids. we pray and must trust. I found his message comforting, but I was still petrified. I knew we were in this together, but our children were not out of harm’s way. By all appearances at the ER, I was in total control. I tried remaining as calm as possible, but I was keenly aware of that thin line between being a parent who was genuinely concerned about her children, versus a parent who is more concerned about saving her own hide. It would be just my luck if one of these overzealous nurses decided to call Child Protective Services, as if I were intentionally trying to harm my children. Luckily, that did not happen. All I wanted was for a doctor to tell me that my children would be okay. After an examination of their lungs and throat, followed by a few more rounds of medicine and hours of observation, the doctor says, “Your children will be fine.” I thank the doctor. On the way out, I tip the valet guy, pack the kids in the van, and gladly leave with my children in tow. All is well. Was this scary? You better believe it. The fact is, I was absolutely afraid and felt terrible about what happened. I was clearly doing too much and moving too fast, and my children were hurt because I needed to be a type of Super Momma. I second-guessed myself about managing my time better, paying closer attention to more important things, saying “no” more often, or limiting the children’s activities, but the reality is that I make mistakes and made one of my biggest ones that night. I thank God for answered prayer. The love notes communicated a quiet forgiveness, understanding, and unconditional love that I desperately needed that night. I am very much human, and have no desire to be Super Momma anymore. I’m so glad that everything worked out for the best. Your daughter’s forgiving attitude is so mature, and your husband was a rock during that ordeal. Sounds like you have a wonderful family. You’re blessed. Thank you Nadine! I feel especially blessed. I am thankful. Thanks for reading also! How scary, but I have to ask, did you kids know they’re allergic to peanuts and peanut butter? Did they know it was one of the ingredients in the smoothie? Because even if you forgot, I’m wondering why they also forgot? Anyway, what a story but glad it turned out well. Those were nice messages you received from your child and your hubby. Hey lady! Scary indeed. We all knew they were allergic. They did not know peanut powder was in the shake because they never in a million years, would expect their momma to offer it to them! Hence, my need for forgiveness. (Too much going on in too short a time.) Those messages kept me afloat. Team Somerville to the rescue! Thank you so much lady for sharing your story. Sometimes you start to believe that these kinds of things only happen to you. Stories like this encourages folks to lighten up a bit for we are only human. Indeed, Renee! We all need the reminder.